How To Dispose Of A Mattress - Which? Knowing when to get rid of a mattress can be as difficult as knowing how. Our guide to disposing mattresses explains all you need to know. Buying a new mattress will set you back anywhere between a few hundred and a few thousand pounds, so parting with even more cash to dispose of your old mattress is probably the last thing you want. But finding a way to dispose of a mattress for free is no mean feat, especially if you want to get rid of it in a responsible way. According to a report by the National Bed Federation (NBF), 6.8 million replacement mattresses were sold in 2015, while only 879,000 were recycled. That’s a recycling rate of just 13%, which is down from 16% in 2014. Far too many mattresses end up in landfill sites. Not only is this bad for the environment, but, given the bulky nature of mattresses, it’s also unsustainable. Many of the mattresses in landfill could have been recycled or reused. Keep reading for expert advice on how long a mattress should last and how to get rid of it once it’s passed its best. In the market for a new bed? Take a look at our Best Buy mattresses. If you can’t remember how many years you’ve had your mattress, the chances are it’s time for a new one. It’s all too easy to lose track of how long you’ve been sleeping on it and, even if it still feels comfortable, it’s likely to be less supportive and less hygienic than when it was new. 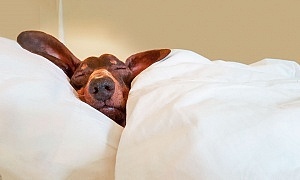 The Sleep Council recommends replacing your mattress as often as every seven years, because after that time the mattress will have been subjected to more than 20,000 hours of use. That’s the equivalent of 2,555 nights - which is a lot when you consider that adults lose an average of half a pint of fluid each night and shed a pound of dead skin cells each year. But our own durability tests reveal that the best mattresses can last up to a decade without softening, sagging or becoming less supportive. So, provided you buy a good mattress and clean it regularly, you may only have to change it every 10 years. Find out how long different type of mattress should last below, or go to our guide on how to clean a mattress. Nearly half of Which? members expect a new mattress to last more than a decade, according to a November 2017 survey of 902 members. We reckon that’s pretty optimistic, not least because there are some common misconceptions about the lifespan of a mattress. Only one in five Which? members think a mattress will last longer if it’s bought as part of a set with a new bed base. Although buying a new bed frame is no guarantee your new mattress will last, using an old or incorrect bed frame with your new mattress certainly isn’t going to lengthen its lifespan and it may well also invalidate your warranty. 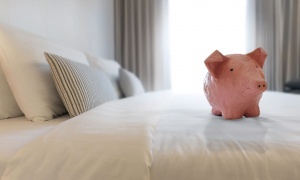 Take a look at our top 10 bed shopping tips. Some 46% of members also thought that the more you spend on a mattress the longer it is likely to last. While investing in an expensive mattress will likely mean you get better-quality fabrics and fillings, it is no guarantee of a longer lifespan. We’ve tested £200 Best Buy mattresses that perform better in our durability tests than mattresses costing more than 10 times as much. Finally, fewer than two in 10 members agreed that foam mattresses are more durable and longer lasting than spring mattresses. How long does a pocket sprung mattress last? 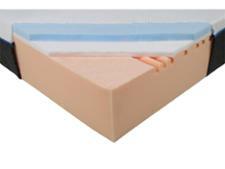 A good pocket sprung mattress should comfortably last between 8 and 10 years. Of the 49 spring mattress we’ve tested, 59% of them earn more than four stars in our tough durability tests. After measuring the height, firmness and supportiveness of every mattress we test, we then simulate up to a decade of use by rolling a heavy barrel over the mattress 30,000 times. To do well in our durability tests, a mattress must maintain its supportiveness, firmness and height. Our pick of the top pocket-sprung mattresses will help you pick out a long-lasting option, but you have to do your bit, too. To maximise the life of your pocket-sprung mattress, it’s essential that you follow the manufacturer’s instructions when it comes to rotating or turning the mattress. Find out how to take care of your mattress. 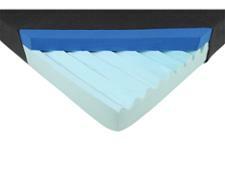 Memory foam mattresses tend to perform well in our durability tests. Of the 26 memory foam, foam and latex mattresses we’ve reviewed, 93% of them score more than four stars in our lifespan test. However, we’ve also uncovered a memory foam mattress that failed our durability test completely, making it the only Don’t Buy mattress we’ve reviewed. And just because you buy a memory foam mattress doesn’t mean that you don’t still need to rotate it regularly, so there's no less maintenance than a pocket-sprung option. All in all, we wouldn’t recommend buying a memory foam mattress solely for the durability, unless it provides the supportiveness and comfort you’re looking for as well. 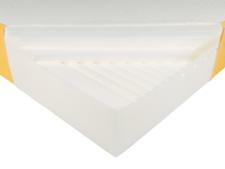 Find out more about memory foam mattresses. You may be surprised by how many different ways you can dispose of your mattress. There are at least 10 different options, but some of them are expensive, environmentally damaging and even illegal, so picking the best way to get rid of your mattress can be difficult. Will the council collect my mattress? Most, if not all, local councils offer a bulky waste collection and disposal service, which includes beds and mattresses. But it can be surprisingly expensive and there’s often no guarantee your mattress won’t end up in landfill - many local authorities simply say that they will recycle some or all of the waste where possible. Some councils, such as Oxford City Council, Liverpool City Council and the London Borough of Merton, offer free mattress collection, but they’re very much in the minority. Most councils charge a fee to collect bulky waste and it can be expensive – the likes of Argyll and Bute Council and Wealden District Council charge more than £50 for the service, for example. If you live in England or Wales, you can find out how much your council will charge for bulky waste disposal by typing your postcode into the gov.uk website. If you live in Scotland or Northern Ireland, go to your council’s website and search for bulky waste disposal. Having the council collect your mattress from your home can be convenient, but make sure you read the terms and conditions carefully. Many councils charge for the number of bulky items they’ll be collecting, but bear in mind that a bed frame and a mattress will likely count as at least two items. And items will often only be collected if they’re left in a designated spot outside the house. Will the local tip take a mattress? The local tip will take your old mattress, but to get it there you’ll need a vehicle big enough to fit it in. If the boot of your car isn’t big enough to fit the mattress when flat, you may find that it fits if you roll the mattress up as best as possible and fasten it using some rope. But that's a lot of effort to go to when the mattress may well just end up in landfill anyway. You may decide you’d rather go to the extra effort of taking it to a dedicated recycling facility, or decide you’d rather pay for the convenience of the council or a specialist disposal company coming to collect it from your house. Can you recycle a mattress? At the very least, some parts of your mattress will be recyclable, and it’s possible that all of it will be. And yet, according to The Furniture Recycling Group, Wembley Stadium could be filled five times with the 7.5 million mattresses that are discarded in the UK every year. While mattress recycling is relatively labour-intensive, more and more facilities capable of doing this work are springing up around the UK. These facilities will break down your mattress into its recyclable components - springs can then be melted down and remade into new metal products, while synthetic layers such as foam can either be used to make carpet underlay or else can be sent to a plant where the waste can at least be converted into energy. Aside from taking your old mattress to your nearest recycling centre yourself, the best way to ensure your mattress is recycled is to pay for it to be collected. But whether you use the local council, the company delivering your new mattress or a specialist mattress removal company, make sure it is clearly stated that the mattress will be recycled. Otherwise, it’s probably best to assume that it won’t be. Can you pay a company to pick up a mattress? Four in ten Which? members disposed of their last mattress by having the company delivering their replacement mattress collect it, according to our November 2017 survey of 902 respondents. That’s perhaps not surprising given the number of major high-street retailers now offering this service. Argos and Ikea, for example, both offer to collect and recycle your old mattress for a fee of £20 when you buy a new mattress from them. John Lewis offers a similar service, charging new mattress customers a fee of £24.95 to responsibly dispose of their old mattress. 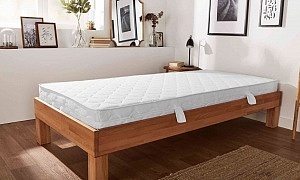 Bed-in-a-box mattress brands such as Casper and Emma also offer an old mattress collection service for customers. But getting the retailer to collect your old mattress when they deliver the new one is only convenient if you’re sure that the new mattress is the one for you. Otherwise you’ll be left without a bed at all if you later decide to return it. If you’re in any doubt, specialist mattress companies such as Collect Your Old Bed can pick up and dispose of your old mattress at a time of your choosing. But it’s always worth making sure the company actually recycles the mattress. We’d also recommend checking how much your local council charge before paying for one of these services, or else you risk paying over the odds. See our list of the best mattress retailers for more information. Can you donate a mattress? If your mattress is still in good condition, you should consider donating it to charity or giving it away for free. That way you can help someone in need as well as ensuring that it doesn't end up in landfill. Organisations such as British Heart Foundation and British Red Cross will resell your mattress and put the proceeds towards a good cause. Other organisations, such as Furniture Donation Network, directly give your mattress to someone in need. Several other charities also accept mattress donations, so if there is a cause you particularly want to support, it’s worth contacting the charity directly. As a general rule, these organisations will collect your mattress free of charge, but they may request you send images first to prove that it is of acceptable quality. Any organisation accepting a mattress donation will expect it to be fit for use, clean and have a fire label intact. Another way to ensure your mattress stays out of landfill sites is to use a non-profit initiative such as Freecycle, which will put you in touch with someone in the local area looking for a free second-hand mattress. Are there any other ways to dispose of a mattress? There are several other ways to get rid of a mattress, but we wouldn’t recommend most of them. Although 1% of Which? members told us they disposed of their last mattress by burning it, we don’t advise it. Not only is a mattress fire hard to control, but the fumes released by the fire could also be damaging to both you and the environment. If you happen to be renting a skip and don’t mind your mattress contributing to a worsening landfill problem, then you can get rid of your old mattress using a skip. But you should never dispose of your mattress by putting it in someone else’s skip or, worse yet, simply abandoning it on the side of the road. As well as both being anti-social and environmentally harmful, fly tipping is illegal and can result in a large fine. Now that you know how to dispose of your old mattress, find out how to buy the best new mattress to replace it with.